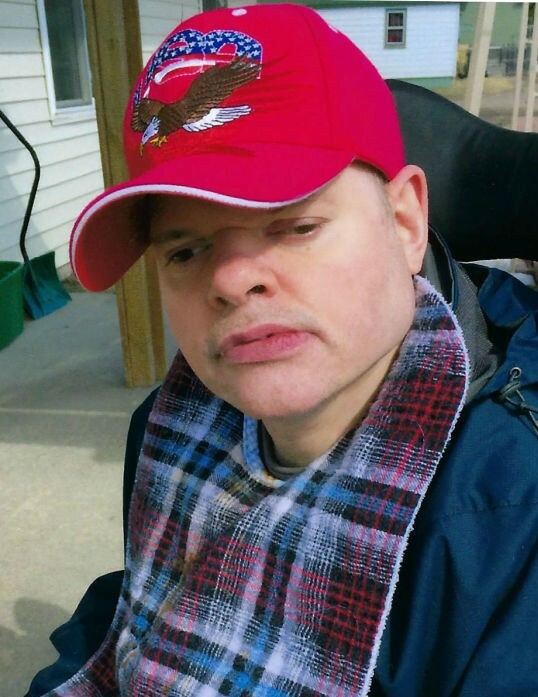 Daniel T. Owens, Jr., age 54, of Escanaba, passed away Tuesday evening, February 12, 2019 at OSF St. Francis Hospital in Escanaba. He was born on April 10, 1964 in Escanaba, the son of Daniel Owens, Sr. and Bonnie Jean (Williams) Hurkmans. Daniel enjoyed listening to music, especially The Beatles. He also loved being outdoors and found joy in going for walks with his mother. Daniel was deeply loved by all who knew him and has left a special place in the hearts of many. Daniel T. Owens, Jr. is survived by his mother, Bonnie Hurkmans of Escanaba; 2 sisters, Pamela (Dean) Schmeltzer of Marquette, and Susan (Shawn) Campbell of Greenville, WI; 1 brother, James (Brenda) Owens of Cornell, MI; 1 stepsister, Tina (Roger) Hiironen of Northland, MI; and 1 stepbrother, Dale (Carol) Jensen of Ralph, MI. Daniel was preceded in death by his father, Daniel Owens, Sr.; stepfather, James Hurkmans, Sr.; 1 sister, Kathleen Tyni; and 3 stepbrothers, James Hurkmans, Jr., Stephen Hurkmans, and Randy Hurkmans. Visitation will be held from 10:00 a.m. to 11:00 a.m., Friday, February 15, 2019 at St. Anne Catholic Church in Escanaba. The Blue Army will recite the Rosary at 10:30 a.m., Friday. Mass of Christian Burial will be celebrated at 11:00 a.m., Friday, at St. Anne Catholic Church with Father Fran DeGroot officiating. A luncheon will be served at the conclusion of the services in the church fellowship hall. Burial will take place in Riverview Cemetery in Northland, MI. A special thank you to the wonderful staff at Whispering Pines East for the love and support they gave Daniel. Also, thank you to the medical and nursing staff at OSF St. Francis Hospital, especially Nan, Alyssa, and Greg.